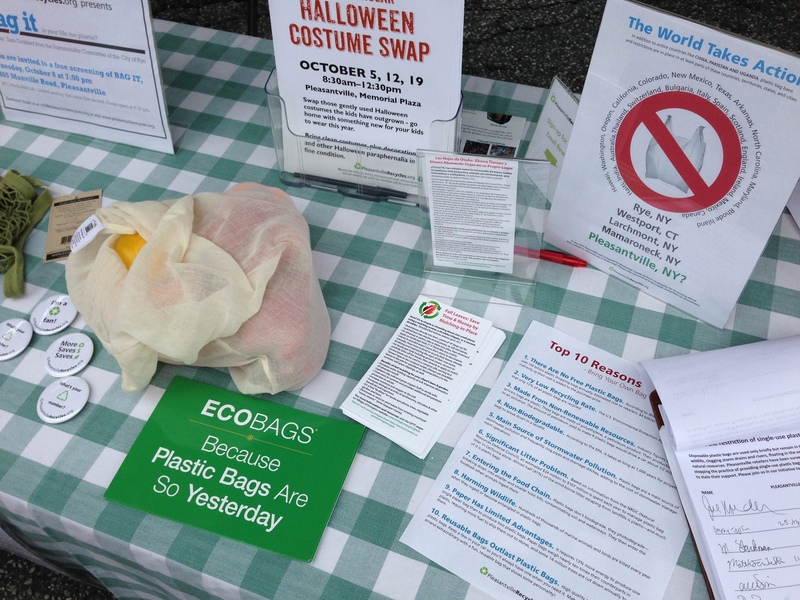 A few weeks ago, we worked with the Pleasantville Farmer’s Market in raising awareness about the importance of using reusable bags (see below for the Top 10 Reasons to Bring Your Own Bag). 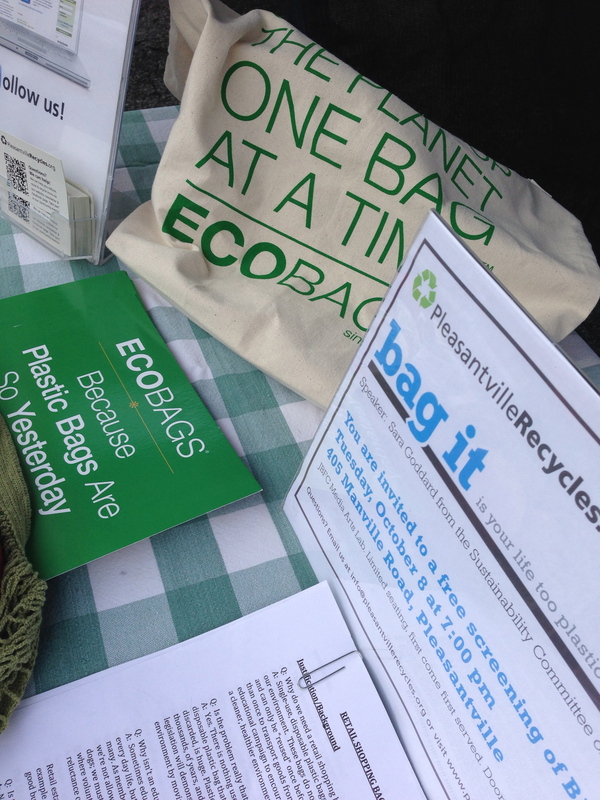 Edwin Kuo of the Pleasantville Recycles Team said that, “The ECOBAGS brand samples that we presented at our table were a fantastic talking point for Pleasantville-Recycles. They presented a great example of how we can replace plastic produce bags with ones that are easily washable and maintained. Many people that came by the table asked us how they could purchase the bags.” We’re happy to support a cause that aligns so strongly with us! There’s been a national movement towards banning plastic bags. Which side are you on? On Tuesday, October 8th, Pleasantville Recycles will hold a free screening of Bag It, a film about the negative environmental impact that plastic bags create. Watch it tomoorrow at 405 Manville Road in Pleasantville at 7pm. Can’t make it then? The Ossining Documentary and Discussion Series will be screening Bag It on 10/23. Stay tuned for a very special guest panelist!